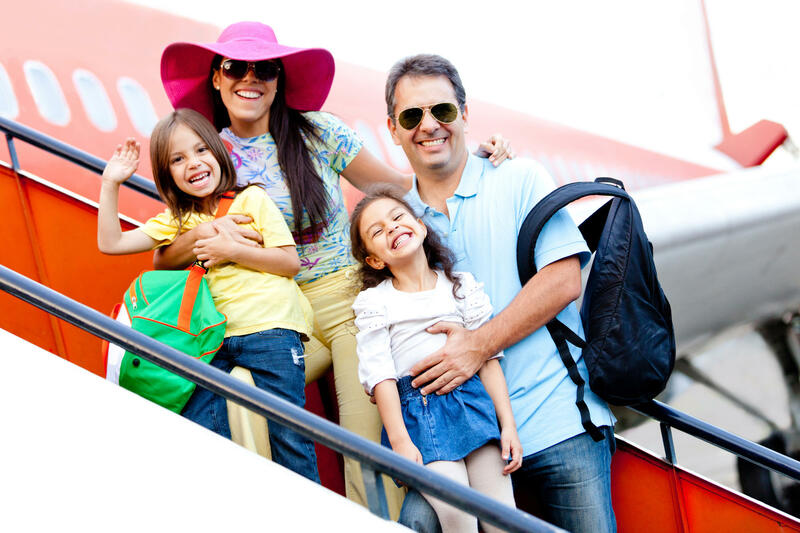 From the initial idea, to packing your bags, there’s so much you need to know to plan your family vacation. Before you had kids, vacation planning was easy. You only had your own and maybe your partner’s schedule to coordinate, no-one else to pack for apart from yourself, and a pretty much limitless choice of destinations, as long as you had the budget. With children in tow, things are different. Planning a vacation as a family can be fun, but it can also be stressful. There are so many things you need to think about and remember that it can be tempting to just drop the vacation completely, and just stay at home. But to do that would be a great shame, as family vacations are a fantastic opportunity to make memories and strengthen bonds. Here are the things you need to think about when you plan your vacation. Every family is different, and every family has its own needs and preferences when it comes to booking a vacation. If this is your first family vacation since you had children, you might not yet know what suits you as a family. And if you have had vacations before, you might be ready to make a change. Think about where you want to be: the beach, the forest, the mountains, a road trip. You can choose the exact location later, but you need to decide what type of trip this will be. Once you know that, you can narrow it down further. So, if you know you want a beach vacation, what is it important to you to have on that vacation? Is it vital to be right on the beach, or would your kids mind a little walk to the sea each day? Do you want to be somewhere with lots of entertainment and places to eat, or somewhere a bit more wild and rural? These are all things to think about after the original idea is in place, but you can’t even start planning until you know what you want to do. Once you know what kind of vacation you want, it’s time to set a budget. There’s no point setting your heart on an expensive all-inclusive resort if your budget won’t run to it. Take a look at your accounts, work out how much you have in savings already and how much you might need. What do you have left at the end of every month that you could put towards the vacation? Remember to include spending money in your budget, as well as airfares and hotels. With multiple schedules to organize, finding the best time to go on vacation can be a little bit tricky. Start by thinking about when you and your partner can take leave from work at the same time. If your kids are at school, look at their school vacation dates. By the time you’ve done this, you might have already narrowed down your options considerably. Knowing when you want to go will help you take your final decision on where to go. Once you know what dates you want to go on vacation and your budget, you can choose your location. Some areas are best visited at certain times. For example, if you’re going to a hurricane region, make sure you’re not travelling in the peak of hurricane season. If you’re going skiing, check snow reports for previous years and see if you’re likely to have good snow when you want to go. If your family is over the beach and pool vacations, consider going somewhere the whole family can do something new. You may think traveling to a snowboarding or ski resort, can be expensive, but you’re likely to find a good package or deal. Most resorts offer lessons or activities for your kids, no matter how old they are. This can be helpful, especially if you’re family has never been before. There are typically restaurants and bars at the resort and childcare services for the kids. This is a vacation to consider if your family wants to do something unlike a previous vacation. Make a list of all the things you need to do before you fly away. Do you need to get passports? If you already have them, do you know where they are? What clothes will you need? Has everyone got a case or bag they can use? If you need to buy anything new, make sure you have the time and budget set aside. Once you’ve done all the planning, it’s time to go! Make sure you have plenty of toys to keep the little ones occupied on the flight or road trip, and have a wonderful trip.